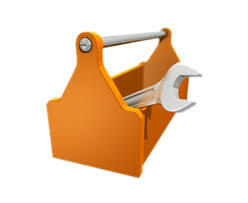 Home maintenance entails keeping the house clutter-free for as long as possible and as much as possible. Many individuals truly desire to have an organized life and more so, a tidy house. But, most of the time, when the situation calls for actual home maintenance action, several excuses can be heard. 1. “It’s not me, it’s him/her.” –People tend to put the messy blame to other members in the house. It usually is an accumulative problem that all members in the community contribute to, one way or the other. 2. “I don’t have time.” – An average Joe typically has enough free time to clean their mess but just doesn’t want to utilize it to the fullest. 3. “There isn’t enough space.” –The real deal is that people who often use this excuse will never have enough space to put their things. The bigger the space gets, the more room there will be for more clutters. Find out how you can deal with the aforementioned excuses and what you can do with clutters, in general, by reading this.